SEO is the process of optimizing your online content, so that a search engine likes to show it as a top result for searches of a certain keyword. Say you type in “real estate” in Google. What kind of searches come up? What companies do you see in the top results? How did they get there? How much do they pay to be there? It’s all keywords and optimization. There’s no top secret. There’s just formulas and hard work. Understanding how SEO works can dramatically increase your web traffic. You could have the greatest website ever made, but if people can’t find it, then what’s the point? So what makes good SEO? Advertising for the right keywords on Google is essential! If you sell shoes, you aren’t going to use keywords like “purses, bags, dresses”. You want to use keywords like “shoes, women’s shoes, shoe store in Austin”. Does that make sense? Use keywords that are relevant to your business. You have to think like your customer. What kind of things would they be searching for? There are many things you can do to optimize your website for search engines. Include relevant keywords in your title, url, and throughout your first page. Make your website responsive to different screens. Don’t you hate it when you visit a website on your phone and it doesn’t look right? Boost your site speed! Google uses page speed as a ranking signal. If your site won’t load, it won’t show. Google adwords is an amazing way to advertise on google directly. Set up an ad campaign that targets 20 keywords. And check those keywords every day! If they aren’t performing, remove then and replace them with others. If some are performing better than others, raise the bid on them to try and get to the front page of that keyword search result. Make it routine to always be changing and improving your advertising on search engines. SEO is not an overnight process. It takes time to setup. But once you get it going, the leads will start flowing directly to you! Like we said, you could have the most amazing website, but if people can’t find it, then there’s no point. 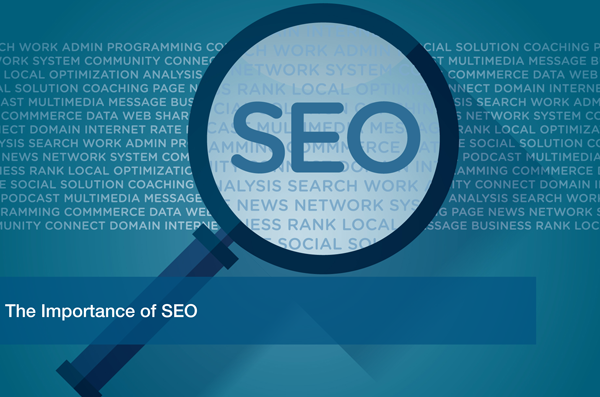 Set up your SEO beforehand to ensure the foundation is strong to begin with! Does it seem like too much? ITC can help get you on the right path to SEO! Schedule a free IT Analysis with one of our experts and we’ll help your business get found online!